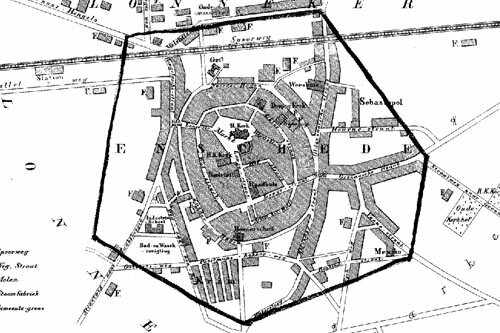 The city of Enschede has changed much over time but still one can recognize the oval form of the innercity. 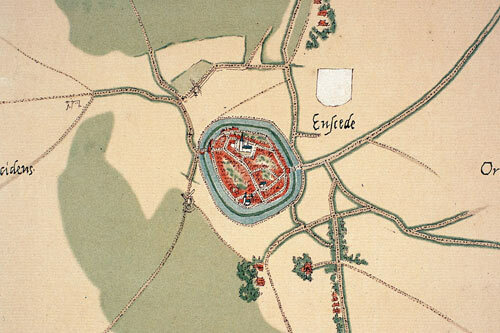 Map drawn by Jacob van Deventer around 1570. 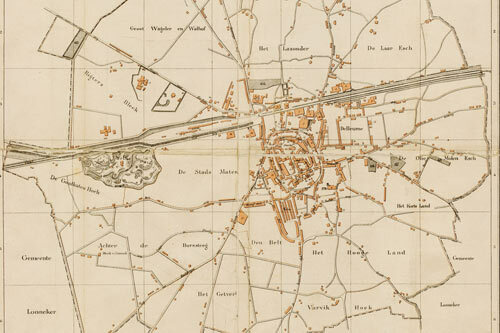 The 1884 map shows an expanding city. 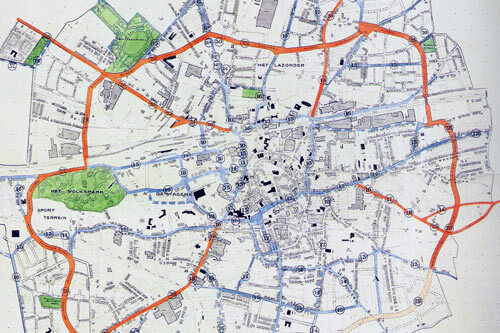 A 1913 plan outlines the future ring road 'singel'. 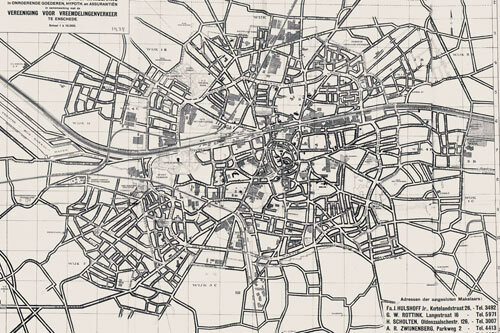 In 1937 the Twentekanaal (left) connected the growing city of Enschede. 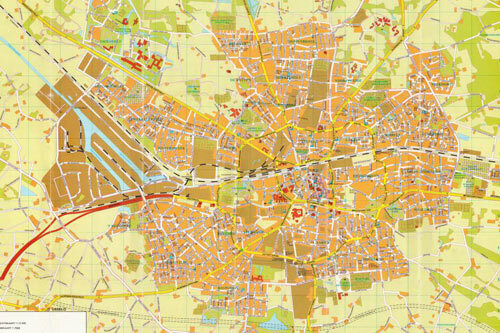 The textile sites are mostly gone in the early 80s.